Click on Run, to continue the UTU Install. 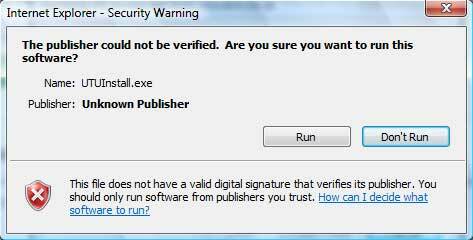 An other security warning will be displayed. Again click on Run to continue. The install process will then install the three Microsoft components that are required. 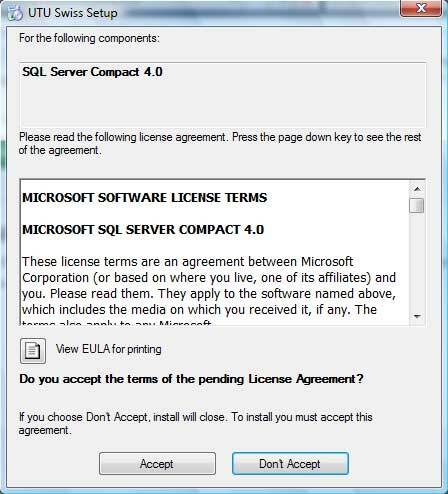 The first is SQL Server Compact 4.0. 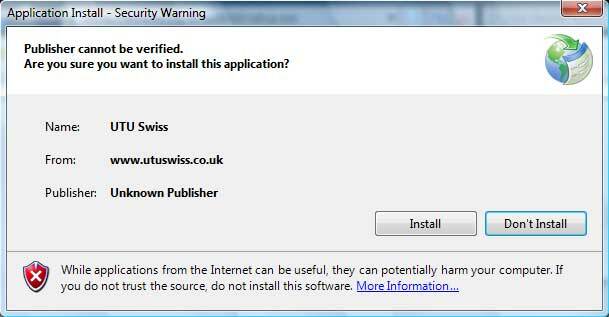 The download for UTU Swiss will then start. 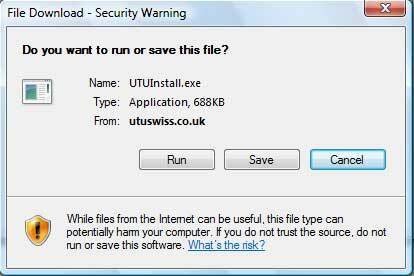 Once the download has been completed and the software has installed, UTU Swiss will automatically run.